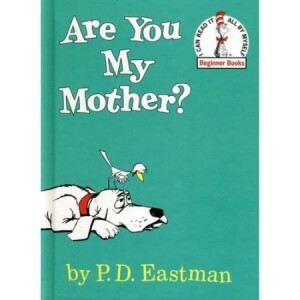 Leah Farmer | Are you my mother? I was probably 5 or 6 the first time I told my sister Kelly that I was old enough for her to tell me The Truth. The Truth…that I was sure of…was that she was my REAL mother. She was 21 years old and I was deeply positive that she was my birth mother and that my “parents” (because I was into air quotes before they were cool) were raising me because she’d been too young to support me. I believed they’d “taken me in” so that she could go to college and have a real life. But at 6…I was ready for the truth. This story is one of those cute stories people tell about a sassy precocious little kid. And it’s deeper than that. The backstory is that I adored my sisters. Both of them. I thought they could do no wrong and that they were probably the coolest and most amazing humans who’d ever been born. Of that I was sure. As the very littlest of sisters to two teenage girls, I never felt more seen, heard, adored, and loved than with my sisters. They took me everywhere they went. I never felt like a burden. I was not an obligation. I was theirs. They loved me and wanted me with them. I wanted Kelly…who was married and lived far away by the time I was 5…to be my mother. I wanted to be able to point to something that made sense of why I felt so different, so alone, so uncertain of myself living in that home. And Kelly being my mom made all the sense in the world to my child mind. As time went on my relationships with my sisters has morphed and changed. Sisterhood is not simple. It is layered and complex and sometimes hard. There are the babies and the men and the friends and the jobs that take up space in the lives of sisters and sometimes all that need edges sisters out a bit. But…here’s what I know…when we can move all the noise of living out of the way for a few minutes…I am truly, deeply, and wonderfully seen by my sister. And I do my best to return that favor by seeing her. By seeing the mother she attempts to be each day. By seeing the friend she is to those in need. By valuing the good she brings to her work, her church, and her community. I love her hands and the ways she uses them. I love her hair…because it’s ever so slightly crazier than mine. I love her laugh…because she is not afraid to give it generously and enjoy the moment. I love her ferocity…it has been my saving grace when no one else was on my side.